Stretches the thighs, groins, back, and psoas. Opens the chest and shoulders. 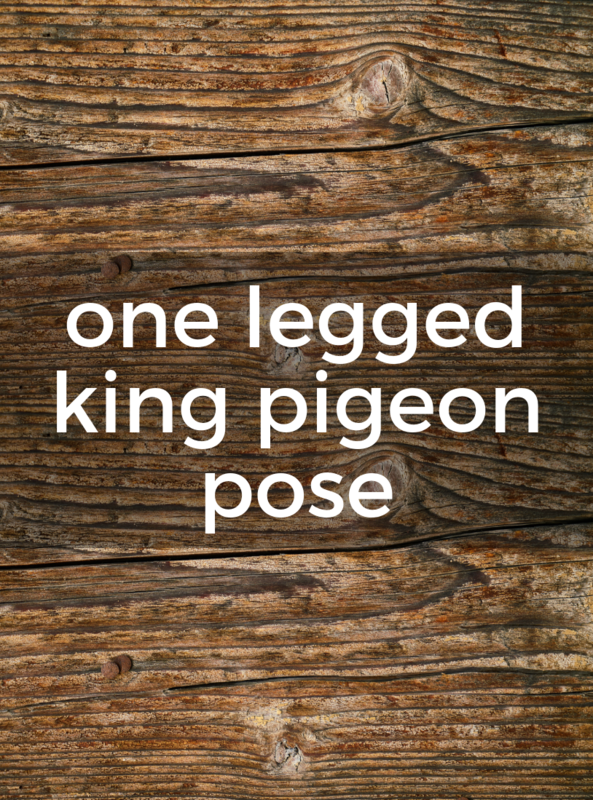 1) From Pigeon Pose, bend the left knee. 2) Take hold of the left toes with your left hand and raise your elbow up toward the ceiling. 3) Reach the right hand for the left toes as well, bringing the right elbow up. 4) Let the head come back until the sole of the foot is close to or touching the top of the head. This is an intense backbend, and should only be attempted by very experienced practitioners. Pigeon Pose is a more moderate version of the pose.